So what exactly makes these some of the best professional dog clippers for poodles? You will find a variety of reasons from level of noise (or lack of), comfort in the hand, portability, clipper blade durability and actual trimming ability just to name a few. You have a number of brands to choose from, each of which enjoys a good reputation with groomers. This clipper is great for the long grooming session that Poodles need. It comes with a size 10 UltraEdge blade, and you can choose between 2 speeds as you groom. There are no vents or fans, so the clipper runs quietly. In fact, it has been said that even the most sensitive dog will like these clippers. Some people who have owned this clipper as well as the Oster clipper say that this clipper stays much cooler than the Oster. In short, many choose this grooming clipper over the Oster. One of the biggest benefits of this clipper is that it is fast running at over 4000 strokes per minute. This comes in handy when you have a lot of grooming to do. The clipper also includes a size 10 CryogenX blade with AgION antimicrobial coating, which means that it can hold a sharp edge longer and reduce bacteria, mold, or mildew issues. Even though the specs say that this clipper runs cool, the biggest complaint users have about these clippers is that they can run hot. Some people find that they have to put them down often or switch blades. However, others say that this can be caused by improper care. For instance, some peoprle have opened up the clipper and found debris and hair inside that they didn’t expect, and after they blew it clean and put it back together, it worked fine again. This clipper offers you the ability to use the largest selection of blades in the industry, both UltraEdge and CeramicEdge. Because ceramic blades run cooler and stay sharper longer, this may be a huge incentive for you to get this clipper. Users love that this clipper can cut through thicker coats and stay cool. 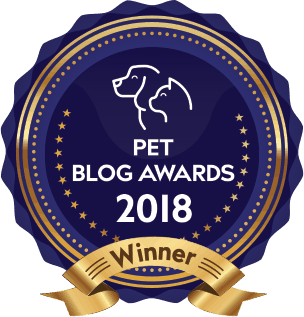 This is great news for an adult Poodle’s thick hair and helps this model stand out as one of the best clippers for poodle hair. The cut comes out even and the motor is strong, and, again, this is a quiet clipper to help keep things calm as you groom. The clipper comes with a 14-foot cord, which gives you the freedom to clip pretty much wherever you want, as well as the ability to move a little more freely. Also, the housing is break resistant. While dropping your clippers may not feel like an issue right now, you will love this feature if an accident ever happens. Check out the Andis 2-Speed Detachable Plus Pet Clipper (22215) to see why they make ideal Poodle grooming clippers. Obviously the biggest benefit of this clipper is that it is cordless, which means you can take your Poodles outside and clip them in the open air and give them something to focus on besides the fact that they are getting clipped! Generally speaking you can probably do one full groom (sometimes two) off one charge. However, when it comes to grooming a Poodle, doing a complete job can be quite time-consuming, so this clipper may be best for doing maintenance jobs for such breeds. This clipper comes with a #10 blade and has a speed of 3800 strokes per minute. Even though this is a single speed clipper, users say that it doesn’t get too hot. That seems to be an all-around Andis feature. Lastly, the Andis Cordless Rechargeable Clipper runs relatively quietly because it has no fans or vents. This clipper is great for Poodles as it can handle full body clipping. It runs 2.5 times faster but stays cool longer, which combined makes a quicker clipping session all around. While this clipper and kit is great for beginners, it will also benefit professionals. In fact, they claim that professionals will be able to cut their time in half using this clipper. It runs quietly, which will benefit any Poodle. And, inside the kit you get the clipper, blade set, blade oil, cleaning brush, and a DVD that teaches the fundamentals of technical grooming. This Wahl 2 Speed clipper comes with a #10 wide blade as well. You can find Wahl dog clippers for sale via the Amazon site. An essential part of Poodle grooming tools would have to be the right clipper blades. If you are someone who is new to clipping, then you may be wondering why most clippers come with a #10 blade. First, many groomers will use this blade because it leaves about 2mm length of coat, which is a great look for most dogs. Second, until you become confident about handling blades, you should get blade 10 or lower. The lower the number on the blade, the more length in the cut, and this will prevent injury. Once you become experienced, you can use whatever blade you would like. For instance, you may want to use a blade #7 in the summer and #4 in the winter. And, for a poodle, you will likely require many different sizes, depending on the types of cut you want to give. Now that you have selected a good quality pet clipper, you need a step by step process for managing the Poodle clip. The following video demonstrates a Poodle Lamb Trim using Wahl clippers. Here is another demo video that you can follow along at home to try grooming your own poodle. Of course before starting on the trim, as per the video, you would bath and blow dry your toy poodle making sure that there are no matted areas to contend with. I like how you can, right from the outset, see the before and after photos so that you can get an idea of what you are aiming for as you begin your trim. The groomer demonstrates how you should follow the grain of the coat growth with your clippers and points out which size blade to use. You can see that she handles the dog very gently and he in turn responds by sitting calmly until the cut is finished. I found the demonstration of nail clipping to be very valuable because so many dog owners are reluctant to tackle this tricky job. And if you are nervous, you can be sure your pet will respond in kind. So before trimming the feet, make sure the nails are clipped safely. And if your dog is nervous when it comes to using clippers on the feet then follow this groomer at work as she trims with scissors instead. As previously mentioned, it is hard to go past Amazon for your online shopping of Poodle grooming supplies. I think it is the easiest way to find the right Poodle clippers for grooming both at home and in the salon. I love the fact that you can read so many reviews from other customers. And the service is second to none. You might like to browse Amazon for other Poodle grooming tools and supplies by clicking on the clipper pictured above. I’m sure you will be able to find the best pet clippers for Poodles that match your needs. Once you have the right clippers, you can find additional pointers via our article on Poodle grooming tips; this article covers standard Poodle grooming along with the most popular Poodle grooming cuts and you can watch a video of a groomer at work. So would you say the wahl km2 is the best for beginners because it comes in a kit? 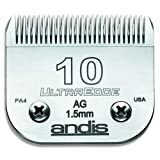 Would it be better than the andis agc super 2 speed? I have a mini poodle and want to be able to trim between going to the groomer and maybe even do full clips myself. Would really appreciate your advice! You are considering 2 very reliable clippers here, with very good reputations. So far, the Andis AGC Super 2 Speed is proving to be extremely popular with my readers but the Wahl is not far behind and definitely has its fans as well. Owners of small Poodles have found the Wahl very good at keeping mats at bay. You might also like to look at the Wahl Home Pet Touch Up which can manage the clipping touch ups that you are looking to do between full grooming sessions. These are battery operated and tend to suit smaller pets. Let’s know which you decide on.